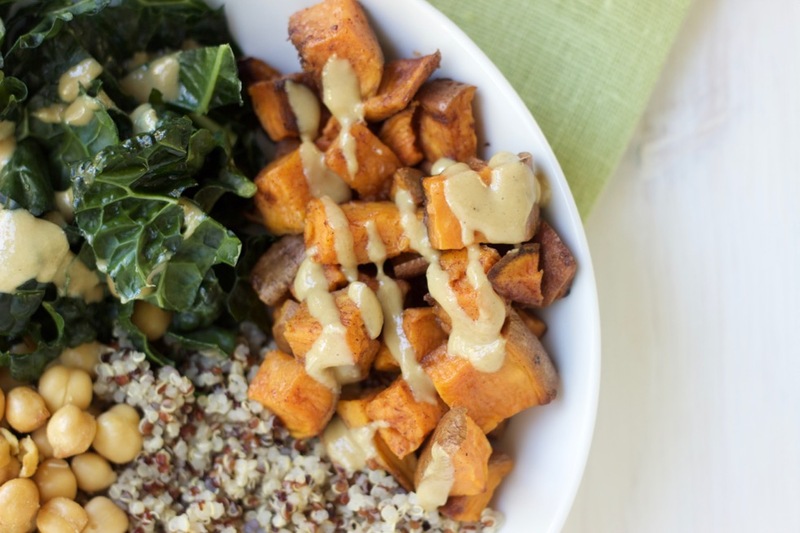 This plant-powered protein bowl is full of hearty fall vegetables and finished with a drizzle of tahini. 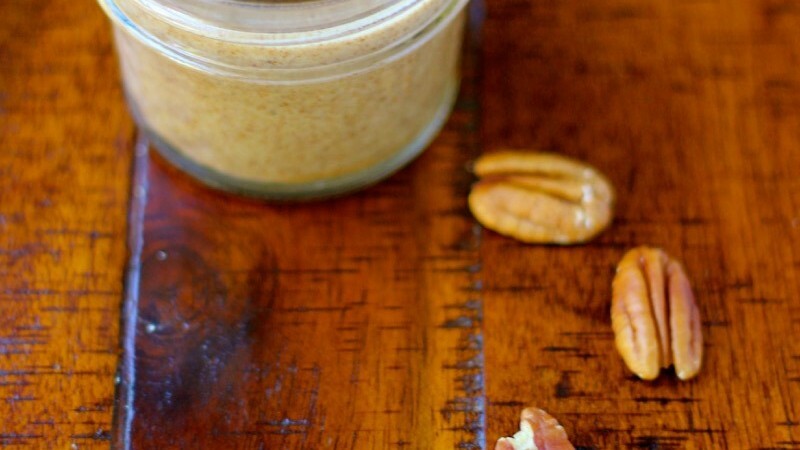 Make this recipe to last the whole week long! This roasted vegetable bowl celebrates all of the colors and flavors of fall and will keep you feeling nourished and satisfied throughout the day. 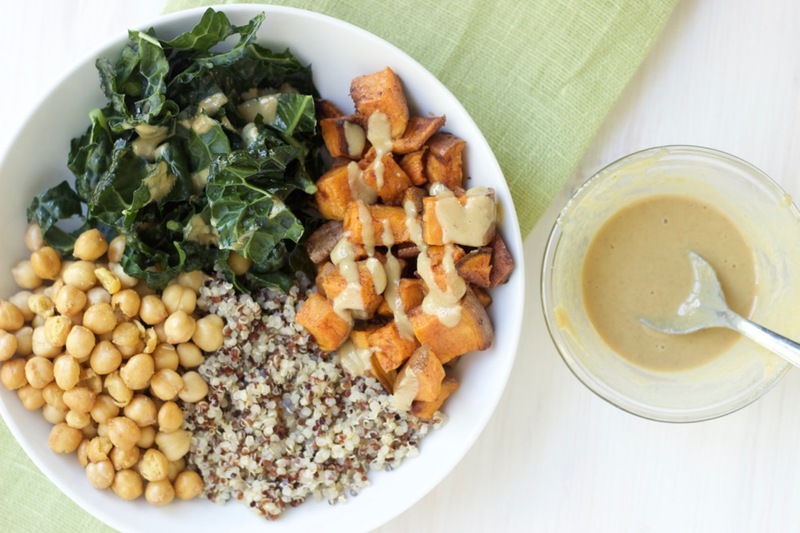 This month’s recipe redux is all about plant-powered protein bowls. There are a few ways to make a satisfying protein bowl. The main components almost always a pulse (peas and beans), a leafy vegetable or two, an optional grain and a sauce to tie it together.You could make everything separately and put it together in a bowl, cook the grains and beans together and top with vegetables or just make it from leftovers! Here are the mini recipes. Try this on meal prep day as it will make about 4 servings. Basic Roasted Chickpeas: Rinse and drain a 15-ounce can of chickpeas. Put them on a clean towel or paper towel. Roll them around to dry and remove the thin outer skin. 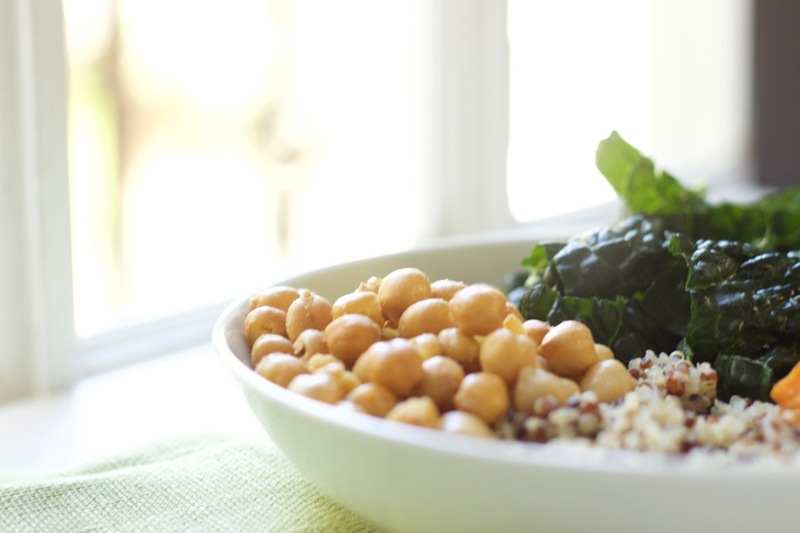 Add the dry, skinned chickpeas to a medium bowl. 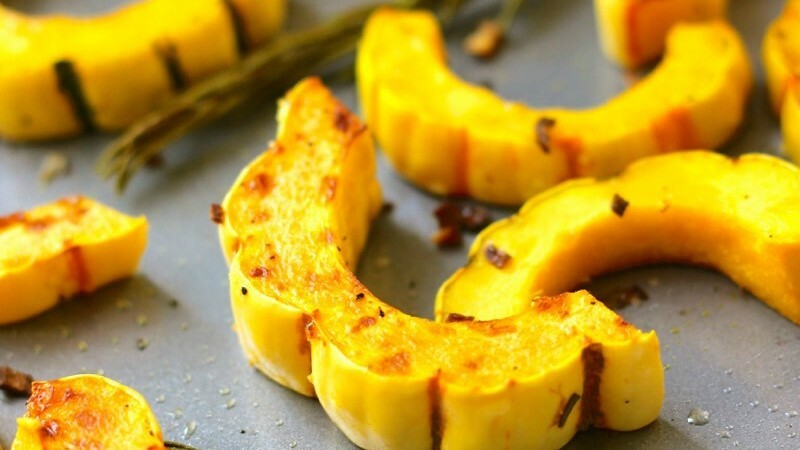 Toss with 1 tablespoon coconut oil, paprika, garlic powder, salt and pepper to taste. Spread the chickpeas in a single layer on a baking sheet. Roast 40 minutes, stirring a couple times for even browning. 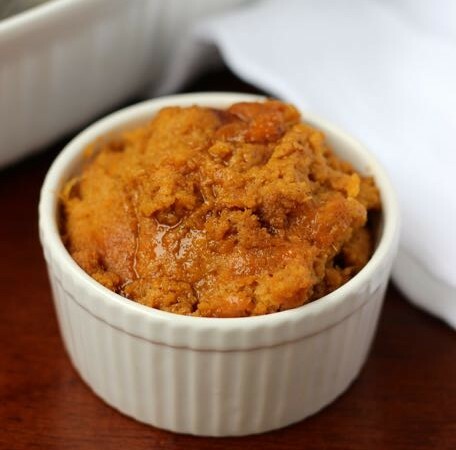 Coconut Roasted Sweet Potatoes: Scrub and cube 2 medium sweet potatoes. In a medium bowl, toss the sweet potatoes with 1 tablespoon melted coconut oil, 1 tablespoon cinnamon and salt and pepper to taste. Spread the potatoes in a single layer on a baking sheet. Roast about 30 minutes, turning once. Roasted Kale: Wash and dry the bunch of kale. Pick the leaves from the stem or slice into large strips. 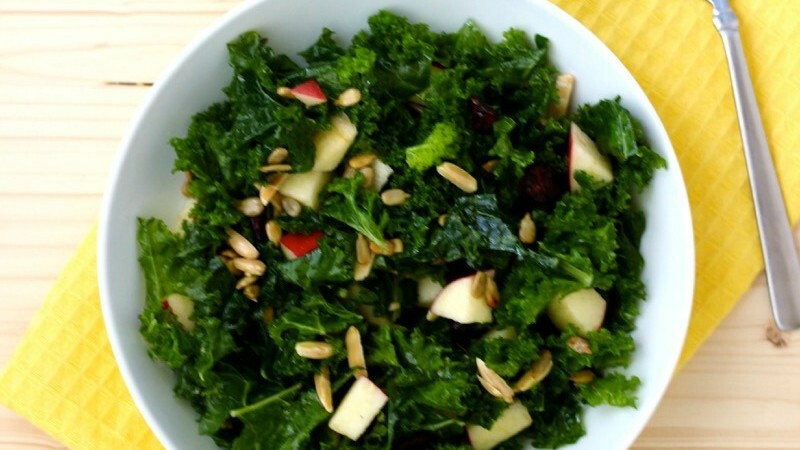 Toss the kale with extra virgin olive oil, garlic, salt and pepper to taste. Spread on a baking sheet. Roast about 15 minutes until crispy. Monitor it closely. It will burn quickly! Add cooked leftover quinoa or not. This bowl is perfect with or without it! Assemble the ingredients in a bowl and drizzle with tahini. Enjoy! As you can see this can take a bit of prep but I like to eat some the day of and store the rest in sealed containers in the fridge to make bowls and add to meals throughout the week. Swap out your favorite vegetables, grains, and beans to create a bowl you’ll love. Try this one and take a look at all of the other bowl recipes from my fellow recipe reduxers.